2. Insert a key (or screwdriver) into the hole and turn it to the lock ( ) position. 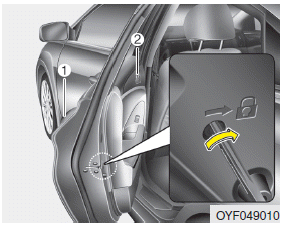 When the child safety lock is in the lock position, the rear door will not open even when the inner door handle is pulled.